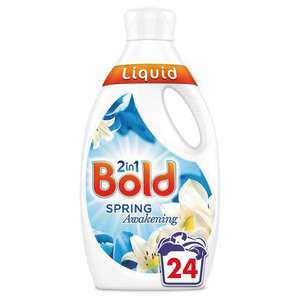 Missus bought some last week,washes good &amp; under 10p a wash.
24 washes? That's a very bold statement especially with the amount I put in! Hot. Yes tried it. It's smells excellent and cleans well too. Yes 10p per wash doesn't come very often its usually amazon vouchers/sub+save or brand packaging change/reduced to clear in supermarkets so I stock pile when it happens, don't be afraid to fill your basket! so I've almost always got a top brand 10p per wash in my bargain shed! It's hard finding any branded name now for 10p or under a wash these days but that's the price I aim for also. This "deal" is almost 20p a wash, hardly a deal even if it does smell nice :) Not voting either way btw. I agree. My threshold is 10p a wash. Currently using Costco’s powder which is pennies per wash and is working well. Never miss a 'Detergent' deal again! Wish more people were like you... then it would be empty when I went! If you want to pay more than necessary then you've a right to shop wherever you like. Me, I'll follow the bargains into any shop I can, lol. Home bargains has 105 wash bottle for £9 odds. 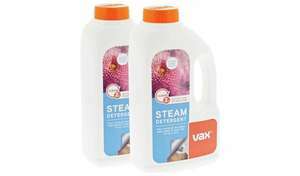 Great value 5.5p/wash lovely scent. Has this easy powder improved? I used to buy it about 3 years ago but found the powder didn't always dissolve properly or have much smell. I changed to the surf with lily and ylang ylang that this is a copy of, and haven't looked back. Whats this, a 3rd party version of Surf Washing Powder? Does a great job. Uses 5 different enzymes. Best price I have seen. 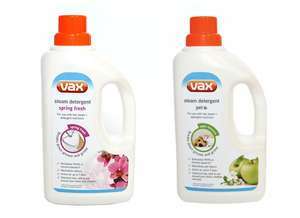 Great price provides triple power stain removal, care and freshnessHelps clothes stay as good as new19 washes. These better than Ariel gel? 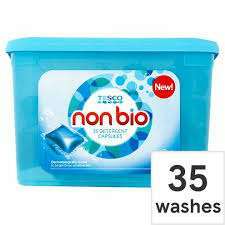 Tesco Non Bio Detergent 35 Capsules £1.25 from £5 RTC. Just picked up a couple of these from Tesco Walsgrave Coventry store. On an RTC label . Barcode is 5053526188917. Clifford Bridge Road by the hospital.